Plus, Mumbai votes, Afghanistan’s election results come in, and India makes it easier for Chinese citizens to visit. Hamid Mir, a Pakistani journalist for the leading news channel Geo TV who was shot last week, issued a statement blaming Pakistan’s Inter-Services Intelligence (ISI) for the attempt on his life. Mir was shot and wounded in Karachi on Saturday. Mir is popular in Pakistan and has been known to cause controversy, often to the ire of the military and the ISI. The ISI has dismissed Mir’s accusation as baseless. “I had been facing threats from both state and non-state actors, but some developments in the recent past convinced me to inform my colleagues about the elements who could most likely try to kill me,” Mir writes in his statement. 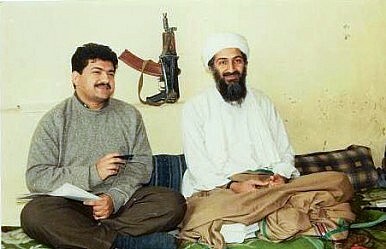 Mir has criticized Pakistan’s spy agency in the past; he noted in his statement that he “felt the most immediate threat from the ISI.” Mir is well known for having interviewed Osama bin Laden three times. Afghanistan’s vote counting continues, with around 80 percent of the result tallied so far. The story remains the same: Abdullah Abdullah remains the front-runner with 43.8 percent of ballots cast in his favor while Ashraf Ghani tails him with 32.9 percent. These preliminary results are unlikely to change and it appears that a runoff vote is inevitable. It is unclear what the outcome of a runoff vote would be, given that Zalmai Rassoul, the third-place candidate, managed to win a portion of the Pashtun vote that would probably transfer to Ghani in a runoff. In order to win the presidency outright, a single candidate must secure over 50 percent of all ballots in a runoff vote. In case you missed it, Srinjoy Bose, an independent observer of the Afghan elections this year, offers a detailed look at the nuts and bolts of Afghanistan’s historic democratic exercise. His thoughts are featured right here on The Pulse. India is streamlining its visa policy for Chinese visitors in a move that will encourage greater Chinese tourism and business travel to India. Under the new policy, Chinese tourists and business visitors will received decisions on their visas within 2 days, reducing the bureaucratic barriers to travel. Currently, travel between the two countries is heavily imbalanced — 600,000 Indians visit China every year while only 100,000 Chinese visit India.